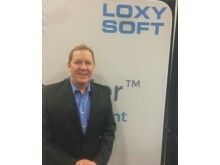 Sean Vierling, new President of Loxysoft Inc.
Sean Vierling has been appointed the new President of Loxysoft Inc. This will contribute to Loxysoft’s international growth and strengthen the company's position in the American market. - There is great potential to grow in the United States, and with Sean’s experience and contacts, I’m sure we will succeed, says Tobias Sjölander, CEO of Loxysoft. It feels good to have a person in place, so that we can further increase our growth in a market that is very important to us. 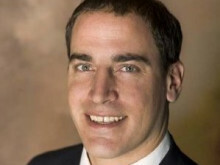 Sean Vierling, living in San Diego, has vast experience from the workforce management industry. He has started and developed several companies, as well as having been the head of BenchmarkPortal. His most recent position was the Sales Manager at Teleopti. He now takes over after Emma Skygebjerg who has succeeded in starting up Loxysoft’s U.S. office. - ProScheduler is a true next generation Workforce Management product that I’m excited to deliver to our customers. My goal is to make Loxysoft a top 5 Workforce Management company in the U.S., Sean says. Loxysoft is a leading provider of systems for Contact Center, Telemarketing and Workforce Management. With more than 25 years of experience in the industry, we offer robust, enterprise-class solutions, scalable from small to large businesses with omnichannel and multisite environments. We empower companies and organizations with world class customer service and sales! Bright Pattern, leading provider of omnichannel cloud contact center software, integrates with Loxysoft to provide the leading workforce management (WFM) solution to one of the fastest growing outsourced omnichannel service providers, VIPdesk Connect. Bright Pattern, omnichannel contact center vendor, partners with Loxysoft’s flagship WFM solution, ProScheduler. The solution helps midsize and enterprise businesses leverage their workforce investments to accurately schedule agents using sophisticated software in order to reduce staffing costs while improving ROI. "Bright Pattern's vision of the future of omnichannel call center solutions perfectly aligns with ProScheduler's view of how an app can help transform a call center from both the operations and human resource perspective," said Sean Vierling, President of Loxsyoft. "The integration of ProScheduler into Bright Pattern's platform will only enhance both software's ability to improve the efficiency and effectiveness of a client's call center operations." "ProScheduler's greatest contribution to call center operations has always been how quickly our client's get a return on their investment and how it does it by optimizing schedules based around an organization's reported Service Level requirements," comments Emma Skygebjerg, Chief Partnership Strategy Officer. "ProScheduler's ability to improve intra-day management and reduce agent costs related to operations by 30% in just a matter of weeks." Bright Pattern is the most simple and powerful contact center for midsize and enterprise companies. With the purpose of making customer service brighter, easier, and faster than ever before, Bright Pattern offers the only true omnichannel cloud platform that can be deployed quickly and nimbly by business users. Bright Pattern allows companies to offer an effortless, personal, and seamless customer experience across traditional channels like voice, text, chat, email, video, messengers, and bots. The company was founded by a team of industry veterans who pioneered the leading on-premises solutions and today are delivering an architecture for the future with an advanced cloud-first approach. Bright Pattern’s cloud contact center solution is used globally in over 26 countries and 12 languages. ProScheduler is Loxysoft’s flagship WFM offering a host of enterprise-class workforce management solutions. ProScheduler helps businesses leverage their workforce investments to effectively schedule people to give them a work/life balance while maintaining business profitability. Services are provided to over a hundred customers in the United States. ProScheduler’s easy-to-use interface, low upfront cost, and quick integration allows customers to get started and see results within weeks. VIPdesk Connect, a US-based provider of outsourced customer care services, utilizes a team of Brand Ambassadors (customer service professionals) located throughout the US to elevate the customer experience for luxury brands. Talented team members of VIPdesk Connect not only excel in delivering superior customer service but are passionate ambassadors of the brands they serve. VIPdesk Connect's suite of services include true omnichannel customer care, such as phone, email, chat, SMS, social, and back-office support. Robert Rowe, the new Loxysoft Inc. Sales Executive, has vast experience within the WFM market. 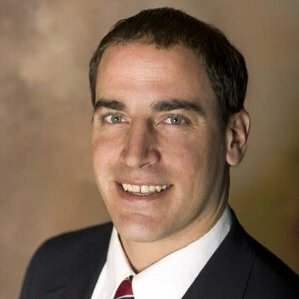 Loxysoft named Ernie Pizio to the newly established position of Market and Strategic Alliances for Loxysoft Inc. Ernie’s role is to develop market and strategic alliances in North America. 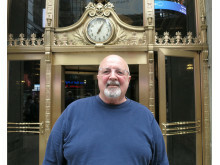 Ernie brings with him over 30 years of sales, marketing and management experience in Call Center, Back Office processing and Workforce Management. Loxysoft has signed an agreement with DirectBuy to deliver ProScheduler, Loxysoft’s powerful and user-friendly workforce management system. DirectBuy is a buying club that provides members throughout North America with exclusive access to over a million products from hundreds of brands without hidden retail markup. Loxysoft has signed an agreement with Commonwealth Financial Network to deliver ProScheduler WFM, a powerful and user-friendly workforce management system. Loxysoft continues to grow on the US market, and has recently established Loxysoft Inc, with a local office in New York. Loxysoft and its owners have made a strategic decision to strengthen its presence in the US market by establishing Loxysoft Inc. with a local office in the United States. 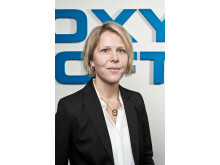 Head of the US operations is Emma Skygebjerg, previously working as CEO at Loxysoft Workforce Management AB in Gothenburg. Loxysoft has signed an agreement to deliver ProScheduler WFM, a powerful and user-friendly WFM system, to UPC in Poland. The agreement covers 460 licenses of ProScheduler. This is yet another important deal that Loxysoft implements together with its Polish partner Alfavox. With this agreement, Loxysoft takes an even bigger step into the Polish market. UPC Polska delivers broadband, telephone- and TV services for residential and business customers. They are the leading supplier of digital cable services in Poland and helping over 2.5 million households in nearly 140 locations, for a secure and reliable digital service. UPC Polska headquarters is located in Warsaw, and their contact center is located in Katowice. UPC currently employs 1,700 people in several offices throughout the country, including the 9 large cities: Bydgoszcz, Gdansk, Katowice, Kraków, Lublin, Warsaw, Wroclaw, Szczecin and Zielona Gora. Poland is a very exciting market with many large contact centers that are also experiencing strong growth. Our WFM system ProScheduler offers the flexibility necessary to ensure service levels and to provide supreme customer experience in a growing organization. We are confident that UPC will find ProScheduler truly useful and we look forward to a continued close cooperation with Alfavox, says Emma Skygebjerg, CEO of Loxysoft Workforce Management AB. Loxysoft Group is the largest full-service provider of support systems for contact centers and other contact-intensive organizations in Scandinavia. The group has over 100 employees spread out over five locations: Stockholm, Gothenburg, Oslo, Bracke, and Ostersund where Headquarters is located. Loxysoft Group consists of Loxysoft AB, Loxysoft AS, Loxysoft Workforce Management AB and Loxytel AB. Together, these companies can deliver everything a state of the art contact center needs. Telephone services with Loxytel AB, staffing system with Loxysoft WFM AB, outbound dialer system and CRM systems with Loxysoft AB and inbound contact center systems with Loxysoft AS. In addition, Loxysoft Group also provide everything from lead lists to advanced consulting and support. Loxysoft Group's customers need only one single point of contact but can, if needed, utilize all the capacity and competence of the entire Loxysoft Group. Customers are today mainly located within the Nordic countries but Loxysoft Group also has customers in other parts of Europe, Asia and North America. 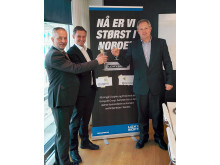 ​Loxysoft has signed an agreement to deliver ProScheduler WFM, a powerful and user-friendly WFM system, to UPC in Poland. The agreement covers 460 licenses of ProScheduler. This is yet another important deal that Loxysoft implements together with its Polish partner Alfavox. With this agreement, Loxysoft takes an even bigger step into the Polish market. 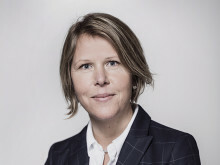 From 1 January 2015 Mille Besso enters as the new CEO of Loxysoft AB. 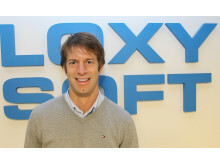 Loxysofts previous CEO Tobias Sjölander will continue to serve as CEO of Loxysoft Group. Loxysoft AB, which today is the most successful provider of products and services for the contact center industry, acquires Dolphin Software AS of Verdane Capital VI, Verdane Capital VII and Via Venture Partners and form Loxysoft Group. Loxysoft is the provider of the workforce management system ProScheduler. ProScheduler is used by hundreds of call centers in Europe and North America to improve customer experience, by optimizing schedules based on incoming traffic, and for project planning of outbound activities. ProScheduler is affordable and has a truly intuitive and graphic user interface, which makes it quick to implement and learn. ROI is generally made already within 6-8 months. The powerful optimizing engine creates optimized schedules within a few minutes, which makes it easy to try different settings to analyze effects and measure costs before publishing the schedules to your workforce.